Rachel Kolsky, author of the exceptional Women's London, takes us on a tour of London sites connected to London's first great champion of women's rights. 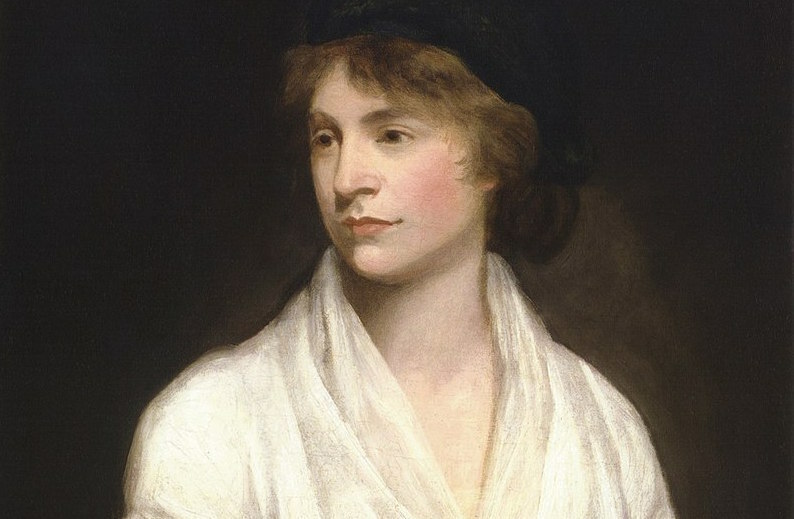 Mary Wollstonecraft (1759–97), considered the mother of feminism, was a writer, traveller and advocate for women’s equality. Born in Primrose Street, just north of Spitalfields, Mary’s early childhood suffered from a violent and spendthrift father. After his death she looked after her mother, an unhappily married sister and her best friend, Fanny Blood. In 1784, to earn money, she opened a girls’ school at Newington Green, north London, while living nearby at No. 373/375 Mare Street, The Narroway. She closed the school in 1786, but it is commemorated by a plaque on the current Newington Green Primary School. 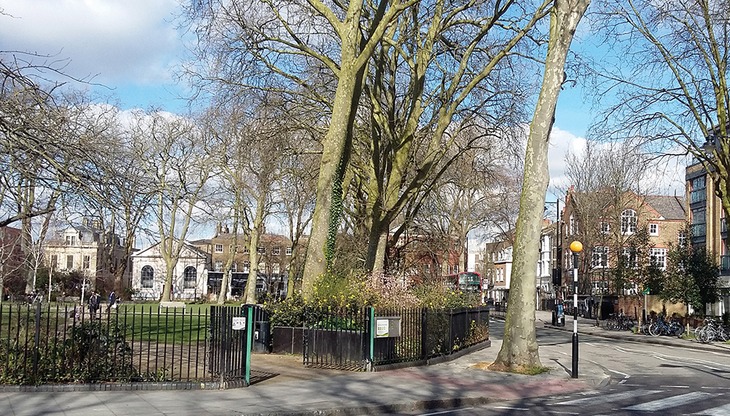 Close by a banner on the New Unity Church — where Mary worshipped — proclaims Newington Green the ‘birthplace of Feminism’ and funds for a statue are currently being raised by The Mary on the Green campaign. Mary then worked briefly as a lady’s companion in Ireland, returning to London, despondent at the dependent lives so many women were living. She moved house regularly, including three years at No. 45 Dolben Street, Borough (picture below), moving there in 1788 for proximity to her publisher. Her last home, where she died, is the site of Oakshott Court, Werrington Street, Somers Town. Mary, with her young daughter Fanny, also travelled extensively in Scandinavia and experienced Paris during the French Revolution. Mary met her future publisher, the radical Joseph Johnson, in the house of actuary Richard Price on Newington Green. She subsequently published travelogues, novels, a history of the French Revolution and children’s books. Her best-known works are A Vindication of the Rights of Men in 1790 and A Vindication of the Rights of Women in 1792. The latter, written in six weeks while living in Store Street, Bloomsbury, hailed equality of the sexes, railed against marriage as ‘legalized prostitution’, contested the accepted divine right of husbands and demanded ‘justice for one half of the human race’. Mary’s love affair with married artist Henry Fuseli was followed by a relationship with Gilbert Imlay. Pregnant with his child, they travelled to France where he deserted her. She gave birth to their daughter, Fanny, in 1784 and followed him back to London, where they lived during 1795 at No. 26 Charlotte Street, Fitzrovia. His affairs led the same year to her attempted suicide off Putney Bridge. 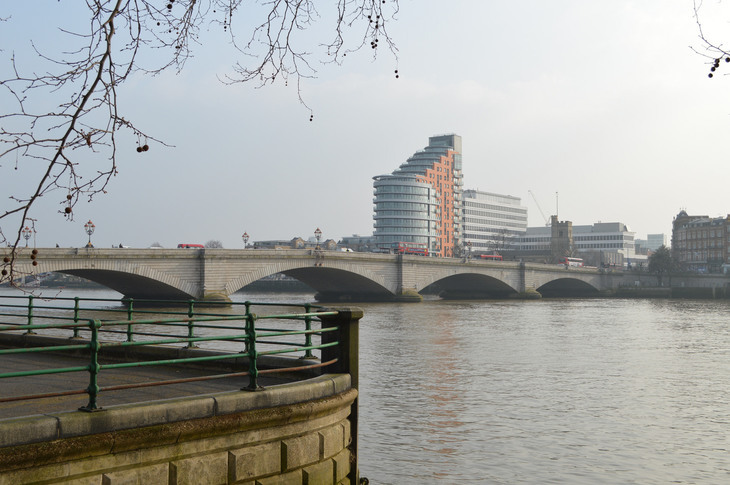 Putney Bridge, scene of one of the darker chapters in Mary's life. Image M@. Meeting anarchist and writer William Godwin brought love and equilibrium into Mary’s life, but once again pregnant, despite her beliefs, they married. This was all only for Mary to die in 1797 from septicaemia, ten days after giving birth to their daughter Mary (see Mother of Frankenstein below). Mary’s reputation was soon destroyed when a well-intentioned biography by William repelled readers. In it he wrote honestly about her mental state and unwed pregnancies. In 1897 Millicent Fawcett (see pp. 74–76) wrote the introduction to the centenary edition of Rights of Women, re-establishing Mary as key to the modern feminist movement. Mary’s ideas were embraced by women such as Virginia Woolf, and by the late 20th century she had returned to prominence. St Pancras has a number of commemorations, including her memorial in the churchyard of St Pancras Old Church (originally buried here, her body was reinterred in Bournemouth in 1851). 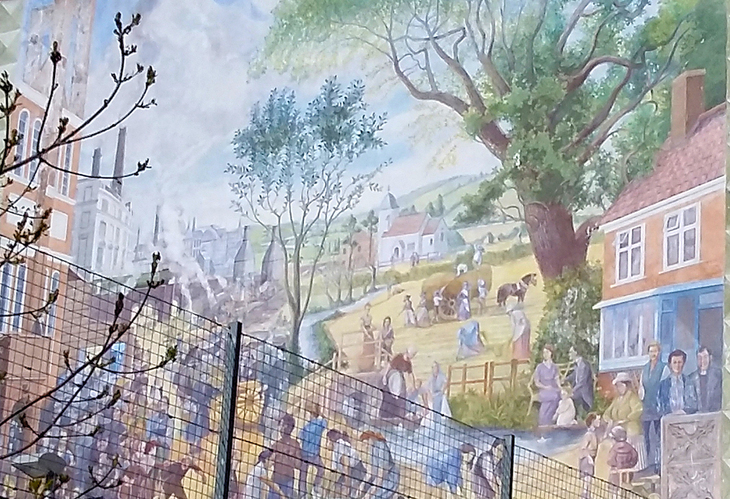 A colourful mural of local personalities on Polygon Street, Somers Town, not far from Oakshott Court, depicts Mary, William and their daughter to the left of the house. 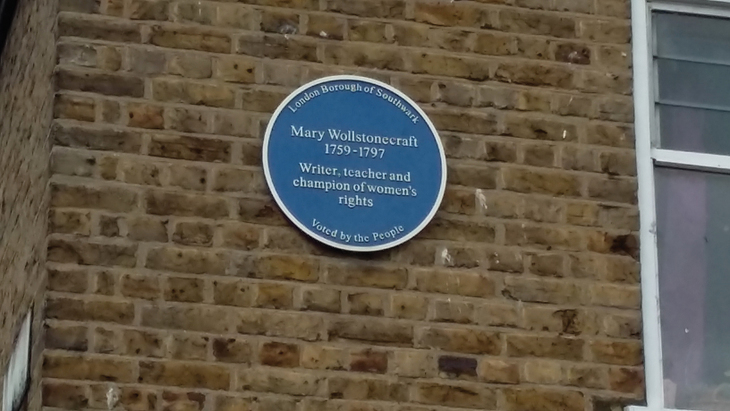 The first new road in the King’s Cross St Pancras redevelopment was named Wollstonecraft Street, and Mary Wollstonecraft House is on Chalton Street. Mary’s daughter Mary Shelley (1797–1851) was also a writer, most famously publishing Frankenstein in 1818. Mary and her husband, the poet Percy Bysshe Shelley with whom she eloped, have several plaques in London including at their marital home, No. 87 Marchmont Street, Bloomsbury and Mary’s final home, No. 24 Chester Square, Belgravia, where there is a Blue Plaque. Women's London by Rachel Kolsky is published by IMMLifestyle Books, £14.99 paperback. Available from all good bookshops and Amazon. Read our very positive review.